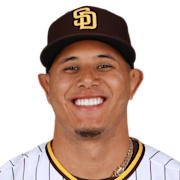 Could Manny Machado become the greatest Padres player of all-time? Will Winter Storm Harper (a real storm in the Northeast) predict Bryce Harper's free agency decision? Are the Yankees even the Yankees anymore if they don't sign Bryce Harper and Manny Machado?